ATLANTA - January 28, 2019 - Atlanta Track Club Elite’s Yolanda Ngarambe set the Swedish National Record in the indoor mile at the New Balance Indoor Grand Prix in Boston Saturday. Ngarambe’s time of 4:28.30 bested the previous record of 4:30.42 set in 2016. It shaves more than three seconds off Ngarambe’s personal best of 4:31.59. Her 1500 meter split of 4:10.13 is also a personal best and places her sixth on the Swedish all-time list. In a loaded field that also saw the Canadian indoor mile record fall to winner Gabriela Stafford (4:24.80) and the Irish indoor record fall to Ciara Mageen (4:28.31), Ngarambe placed fifth behind Stafford, NCAA Champion Elinor Purrier, Ethiopian Dawit Seyaum and Cory McGee. We caught up with Ngarambe after her record-setting race. It was a weekend of wins and personal bests for Atlanta Track Club Elite. 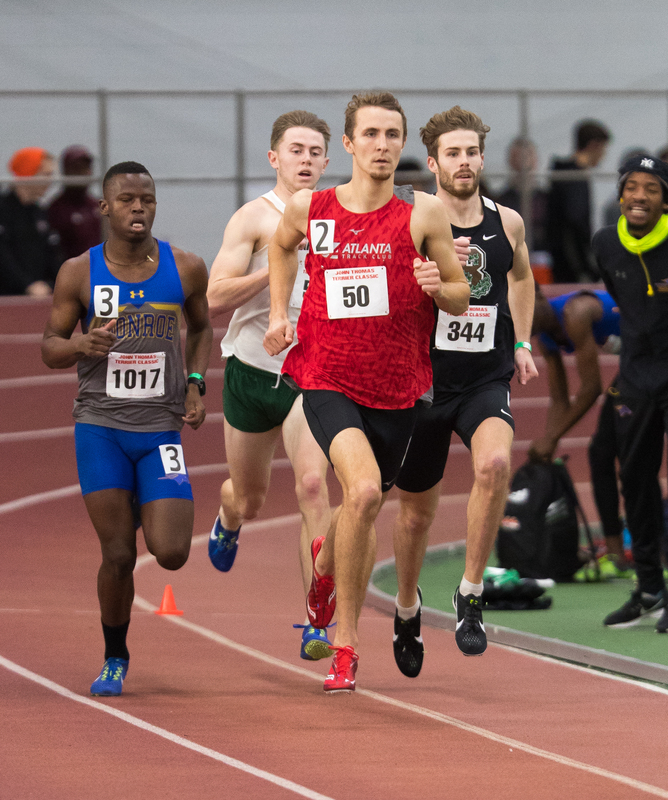 At the John Thomas Terrier Classic at Boston University, six Atlanta Track Club athletes qualified for the USATF Indoor National Championships with five setting personal best times. On the women’s side Friday, Megan Malasarte placed second in the 1000m in 2:43.28. Ellie Abrahamson (9:14.17) and Eden Meyer (9:20.30) were second and third in the 3000m. In the men’s 1000m on Saturday, Abe Alvarado won in 2:19.36. Patrick Peterson was second in 2:21.08. Dylan Capwell won the 800m in a time of 1:48.19. Atlanta Track Club Elite now has eight athletes qualified for the championship meet in New York City next month. Keturah Orji qualified in the triple jump and Brandon Lasater in the 1000m (via an 800m time) earlier this month. Members of the Elite Masters team celebrated several podium performances at the USATF Southeast Region Masters Indoor Championship at the JDL Fast Track in Winston-Salem, NC last weekend. Susan Aderhold took three victories in the W70 division winning the 200m, 400m and 800m. Catherine Radle won the W75 pole vault, Cheryl Wolfinger won the W50 shot put, weight throw and super weight and Trenice Mullis-Dubow won the mile and 3000m race walks. In men’s competition, Jim Sauers won the M70 high jump. Joel Gould won the M45 long jump and triple jump, Cook Holliday was the winner of the M75 pole vault and triple jump, Tom Fraker won the shot put, weight throw and super weight in the M60 division and Joel Dubow won the mile and 3000m race walks. The USATF Masters Indoor Championships will be held at the very same track in Winston-Salem March 1-3. Atlanta Track Club is looking to claim its second national title in three years having previously won in 2017.